By Xah Lee. Date: 2012-10-06 . Last updated: 2016-04-17 . 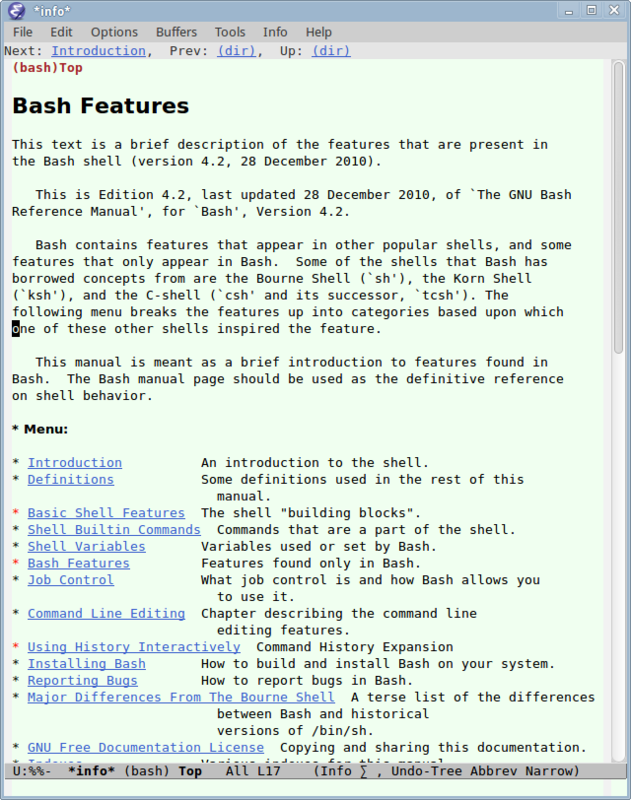 Linux bash man page man bash is huge, 5.3k lines, hard to find info. You can install emacs's info manual, which is nicely separated into chapters. To install: sudo apt-get install bash-doc. Once installed, launch emacs emacs &, then type 【Ctrl+h i】 . Then, you can use mouse to browse just like a web browser. Or, you can use keys.